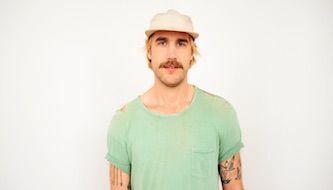 In the Fall of 2016, demoing his latest album, Wide Awake, Rayland Baxter isolated himself, for three months, in an old rubber factory in rural Kentucky, with little more than a mattress, a guitar, and a Wurlitzer. The fruit of this odd behavior was released last week through ATO Records. It’s a collection of catchy songs, full of pop hooks, and Beatles-esque melodies. Baxter will play The Hi-Fi in Indianapolis on August 1st.